There are many opportunities to volunteer with Garland County Habitat for Humanity! From swinging a hammer, landscaping, sorting nails, or helping at one of our ReStores, there is something for every skill set and ability! Our construction crew builds 4 days per week for 4 hours per day. Our ReStores are open Monday - Saturday 9am - 5pm. Special events, corporate or group builds, team building activities, administrative assistance, and other opportunities are also available. #WeBuildCommunity and that begins with you! 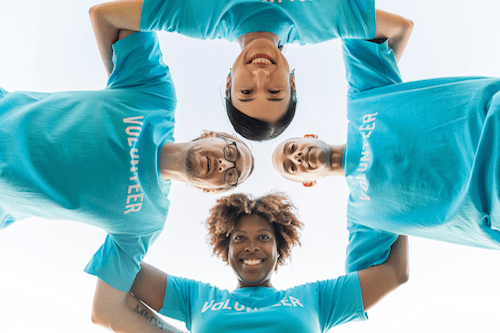 Contact our Community Outreach Director to find out more or fill out the form below to join our volunteer update list! Please help us work efficiently - let us know you are coming prior to volunteering and thank you for giving your time! Contact our volunteer coordinator directly at volunteer@garlandcountyhabitat.org.